Firealarms.com’s Engineered Systems Dealers have access to a range of top-branded products to help grow their business more effectively than ever before, including exclusive rights to Kidde branded Fire Alarm Control Panels and Devices. What's more, they are backed by comprehensive Sales and Technical Support from an established leader in the Fire Protection and Security Industry. Lean Logistics Management (LLM), a division of Troy Life & Fire Safety Ltd., is the master distributor for the Kidde Fire Alarm product line in Canada, manufactured by United Technologies Corporation (UTC). LLM provides online sales, training, technical support and customer service to our team of Authorized Engineered Systems Dealers across Canada. 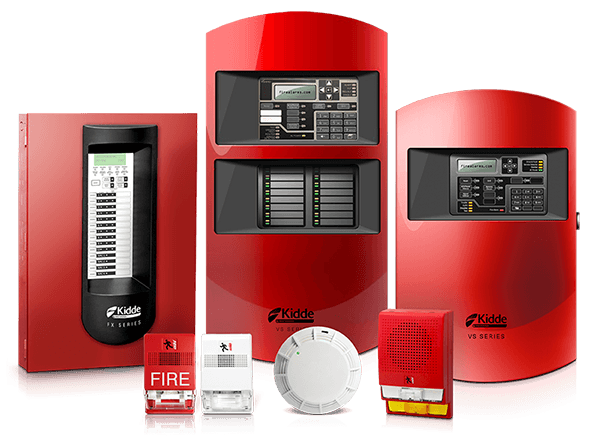 Firealarms.com’s Engineered Systems Dealers have access to a range of top-branded products, including exclusive rights to Kidde branded Fire Alarm Control Panels and Devices. Authorized Firealarms.com Dealers receive comprehensive, hands-on training to ensure they are fully qualified to install and support our products – delivering peak performance and reliability to their customers. Our Dealers are supported by a team of dedicated and experienced fire alarm professionals, giving them the resources they need to service and expand their market more effectively than ever before.